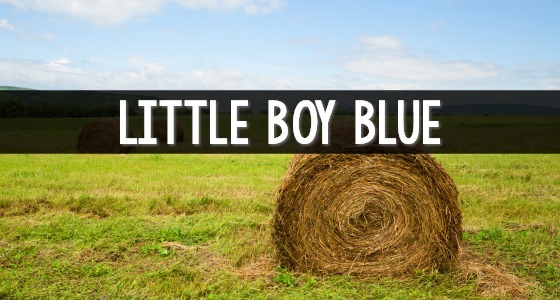 Nursery rhymes are an important part of literacy teaching for young children. 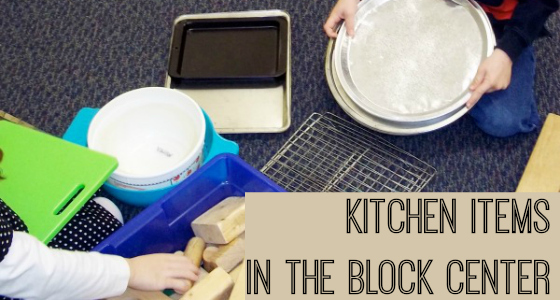 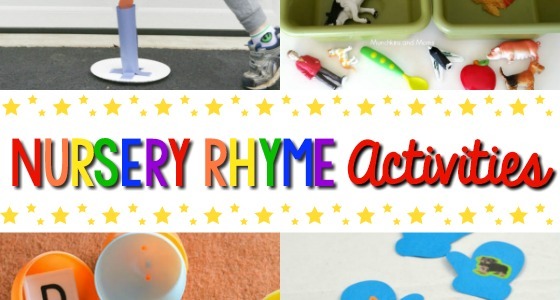 These rhymes naturally help young children develop phonemic awareness skills, which are the necessary building blocks that children need before they can begin to read. 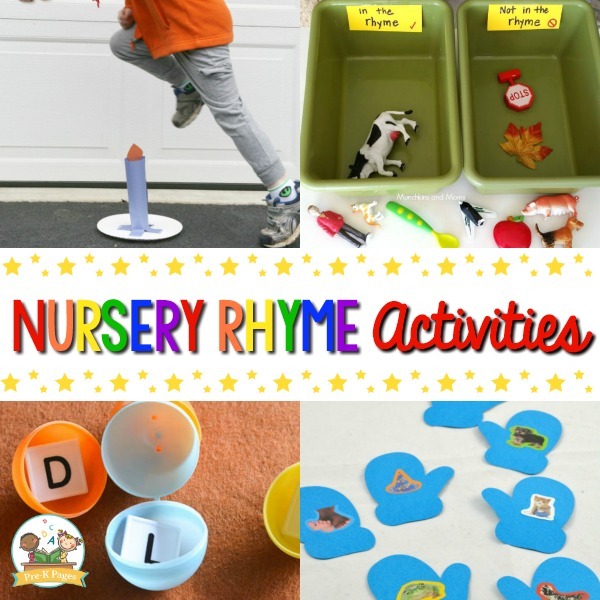 In addition to reading or reciting nursery rhymes, you can infuse those rhymes throughout your classroom with other activities and centers. 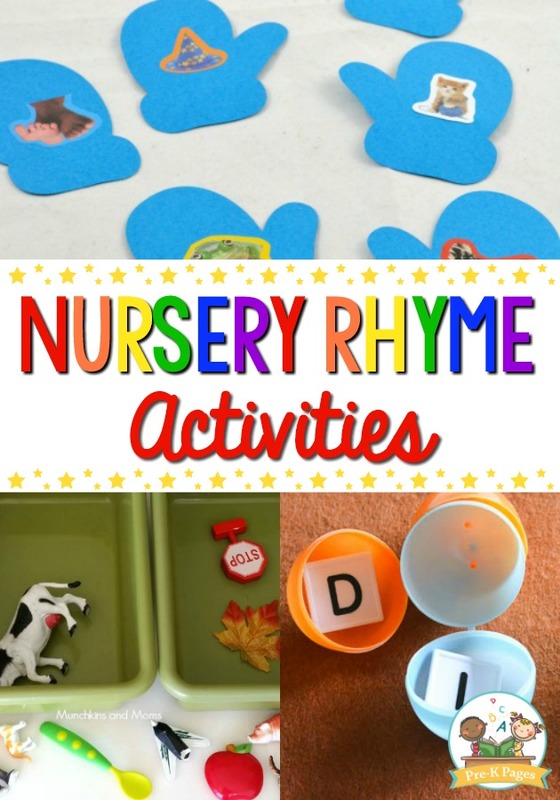 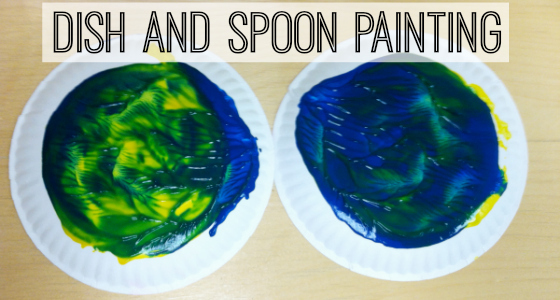 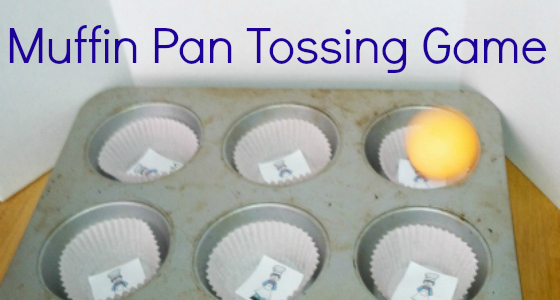 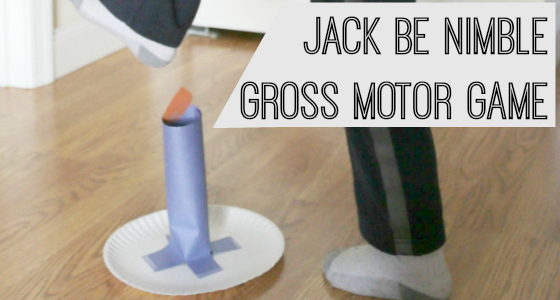 Check out these ideas to use nursery rhymes with your preschoolers. 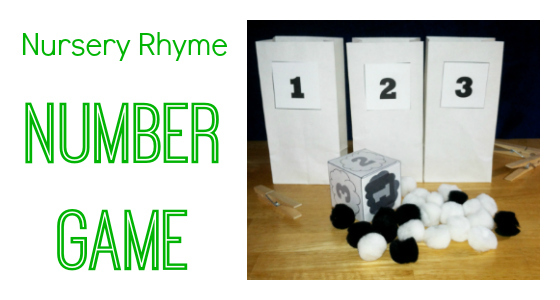 And check out our Nursery Rhyme Bundle with complete lesson plans and activities. 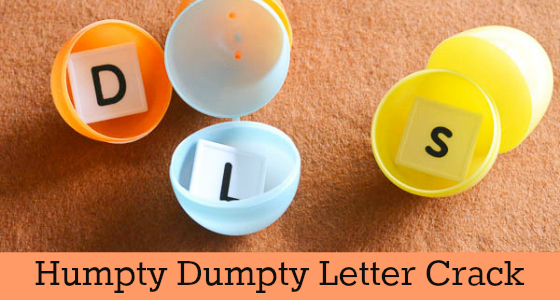 These lesson plans for 12 nursery rhymes will help you teach better, save time, and live more!